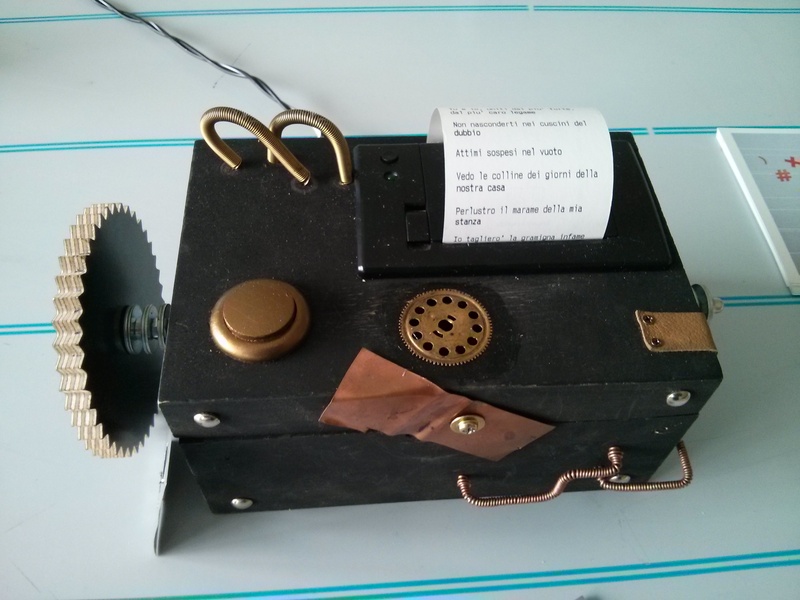 The dadaist poetry box has a new face! 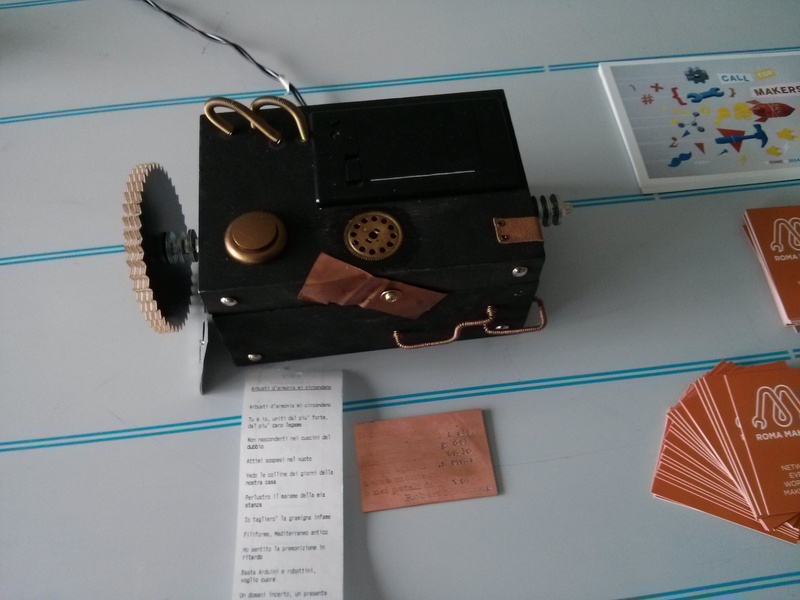 Thanks to friends of Roma Makers Fablab (http://officine.romamakers.org/), the dadaist poetry box has a new look. The steampunk influence is very strong. I like very much this new face! !